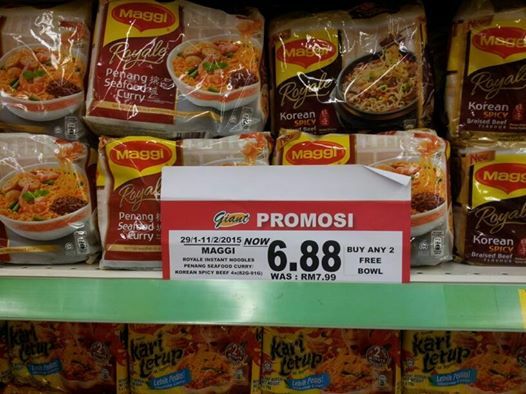 Maggi Royale range of instant noodle has become cheaper thanks to on-going promotions at Giant and Aeon Big. 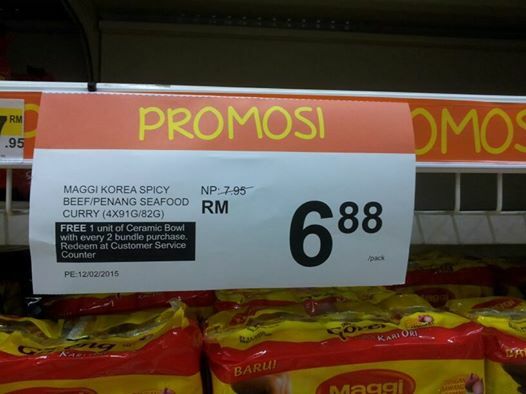 Both Maggi Korea Spicy Beef/Penang Seafood Curry comes with a promotion price of RM 6.88 per pack compared with the normal price of RM 7.95 at Aeon Big and RM 7.99 at Giant. There is also a free ceramic bowl for every purchase of two bundles. Usually, Maggi Royale does not do promotions. What makes it different this time round when all other competitors are keeping their prices intact is something to ponder.